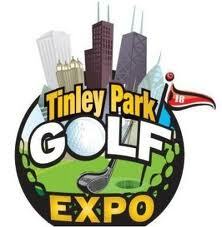 I attended the Tinley Park Golf Expo today (February 18th, 2012 Day 2 of the show), and I was pleasantly surprised with Chicago’s newest golf show. The Expo center is brand new with ample parking, and an all around a beautiful convention center. 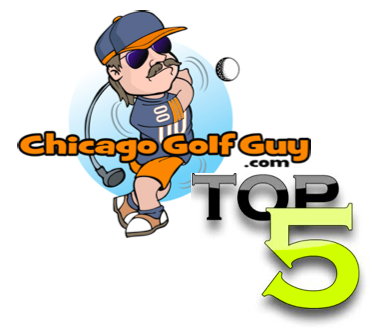 The local Chicago golf market was nicely represented at the show: with local golf courses in attendance, some local golf shops (with a fair amount of new, used, and old equipment), one of the Major labels, and a some really great golf products. The crowd seemed to be happy with the golf show, and for $10 you really couldn’t go wrong (parking was free). Plus as a bonus you received a free subscription to GolfWorld or Golf Digest with your ticket purchase, so it really was a no risk situation. Even though I was happy with the show, I do rate it a BOGEY. The show was in a nice spot, but it was hard to find. Not the building itself, but once inside there were no signs to direct you which way the entrance to the show was. The couple who walked in just before me, were complaining not only that one of the main doors were locked (the south door said exit only) but that they had no idea where to go. Once inside the show was a nice size, but much smaller than the other golf show in Rosemont. I also blame the exhibitors for the BOGEY rating. Even though some of the major southside golf courses came out, they really didn’t put much effort into the show. No tents, or fancy pamphlets, or pretty girls handing out free stuff, just a basic sign that said XYZ Golf Course with the pro and the asst hanging about the table not making an effort to really engage any of the golf show attendees.